The uveitis is inflammation of part or all of the uvea. It can cause redness in the eye. 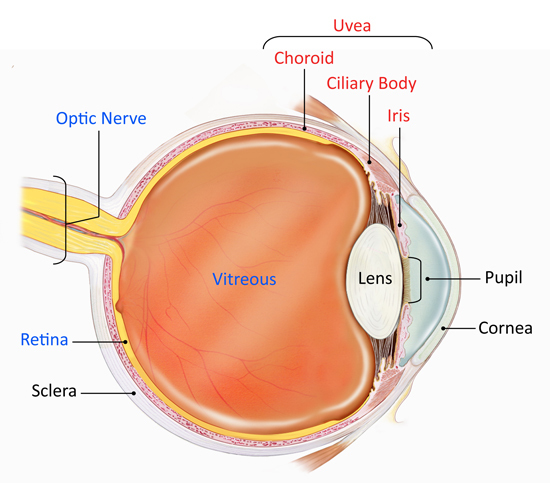 The uvea, which lies in the middle layer, ie in the center of the eye, is composed of the iris, the choroid, a membrane that irrigates the retina, and the ciliary body. The iris is the colored part of the eye around the pupil that controls how much light enters the eye and reaches the retina. The ciliary body is a set of muscles that allows the eye to make a clear image: we speak of accommodation. Uveitis can be acute or chronic and can affect one or both eyes. Uveitis can be an iritis, also called anterior uveitis. In this case, the inflammation concerns the iris. Iritis is the most common uveitis. There are also cyclites that correspond to inflammation of the ciliary body. When inflammation reaches the iris and the ciliary body, it is called iridocyclitis. Posterior uveitis, or choroiditis, touches the choroid in the back of the eye. When all of the urea is concerned, we are talking about panuveitis. The consequences of uveitis can be serious because inflammation can impair vision and even cause permanent and permanent loss of sight. To avoid these complications, it is important to diagnose uveitis as quickly as possible and to treat it as soon as possible. Uveitis can be infectious. They may also be related to an injury or autoimmune disease such as sarcoidosis, a generally minor inflammatory disease, psoriatic arthritis or ankylosing spondylitis. Some lymphomas ( cancers of the lymphatic tissue) can also be associated with uveitis. However, the cause of uveitis is often unknown. Untreated, uveitis can quickly damage the eye and have serious consequences. For example, they can cause irreversible loss of vision or cause glaucoma, optic nerve or retinal problems, or cataracts. Complications are less common in cases of anterior uveitis. Logically, panuveitis is uveitis, which can have the most serious consequences. The diagnosis of uveitis is made by an ophthalmologist. He will perform a complete assessment of the painful eye and will look to see if this condition is responsible for a decrease in visual acuity. Blood tests may be necessary to find the cause of this inflammation of the eye. Uveitis can reach one eye or both. There is a genetic predisposition in the appearance of uveitis. Risk factors are diverse. Having an infection such as toxoplasmosis, tuberculosis, herpes or syphilis is one of them. The risk of developing uveitis is also higher when one suffers from autoimmune disease or inflammation such as Crohn’s disease or ulcerative colitis. Prevention can be done by taking into account the risk factors for uveitis. For example, it is important to know if a parent has suffered from uveitis. If the cause of uveitis is known, treat it first. Medical treatment aims to reduce the inflammation itself. For this, anti-inflammatories, such as corticosteroids, may be prescribed. It can be drops to put in the eyes. In case of chronic form, intraocular injections, ie injections directly into the eye, may be necessary. 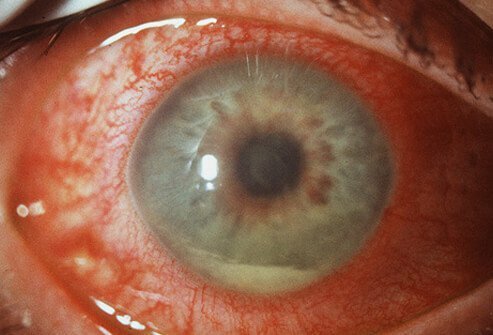 If uveitis is caused by infection, antibiotics or antiviral drugs may be added to corticosteroids. If corticosteroids are not effective, immunosuppressants may be offered. Finally, surgery may be necessary. It consists in removing the vitreous body, that is to say the “gelatinous” part of the eye. The operation can also reveal the origin of uveitis. A virus or bacteria can be found in a sample of the vitreous body.